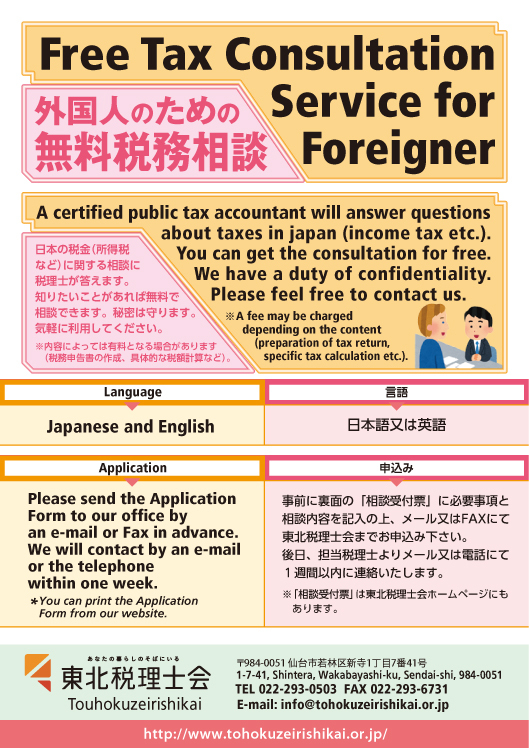 First, please try to refer the website of National Tax Agency. If you could not find the answer, please contact us. copyrightc2019 東北税理士会 All rights reserved.